To make chicken dip using cream cheese, combine cooked chicken, cream cheese and additional ingredients into a large mixing bowl. Integrate all items with spoon and transfer the mixture to a baking dish. Preheat an oven to 350 degrees Fahrenheit and bake until hot, for approximately 20 to 30 minutes. The chicken can be cooked any number of ways, including baking, roasting or frying. 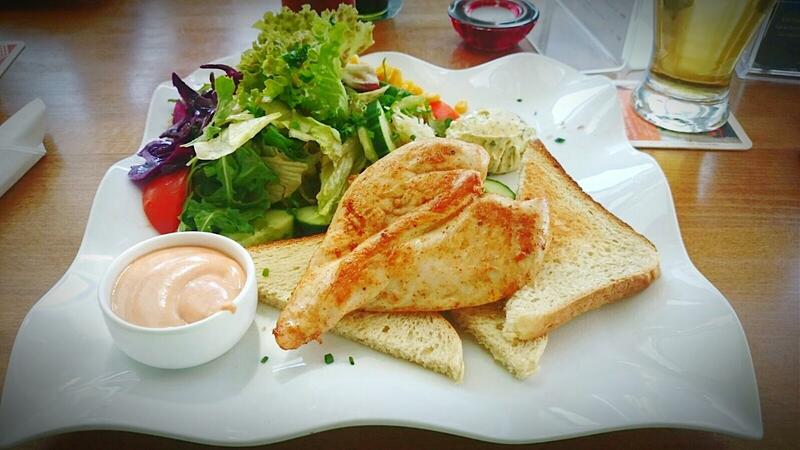 It is important to cook chicken thoroughly to a temperature of 165 degrees Fahrenheit to avoid food poisoning. Once chicken is prepared and cooled, pull the meat into small thin strips and set aside. One of the classic dip preparations involving chicken and cream cheese is Buffalo chicken dip. For 16 servings, use two cooked chicken breasts, an 8-ounce package of cream cheese, 1/4 cup ranch dressing and sour cream, 1 1/2 cups shredded cheese such as Monterey Jack or Colby and 1/2 cup hot sauce, such as Frank's. Blue cheese dressing can serve as a substitute for the ranch, and scallions add an additional dimension of flavor. A nine by 13 inch dish is about right for this batch size, and more shredded cheese can be sprinkled over the top before baking if desired. The dip will bubble and brown on the top when ready. Serve with tortilla chips or small slices of fresh bread. What Is an Easy Cream Cheese Ball Recipe?